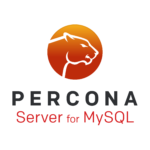 Percona announces the release of Percona Server 5.6.33-79.0 on October 18th, 2016. Download the latest version from the Percona web site or the Percona Software Repositories. Percona is glad to announce the release of Percona Server 5.6.17-66.0 on June 11, 2014. Downloads are available here and from the Percona Software Repositories.